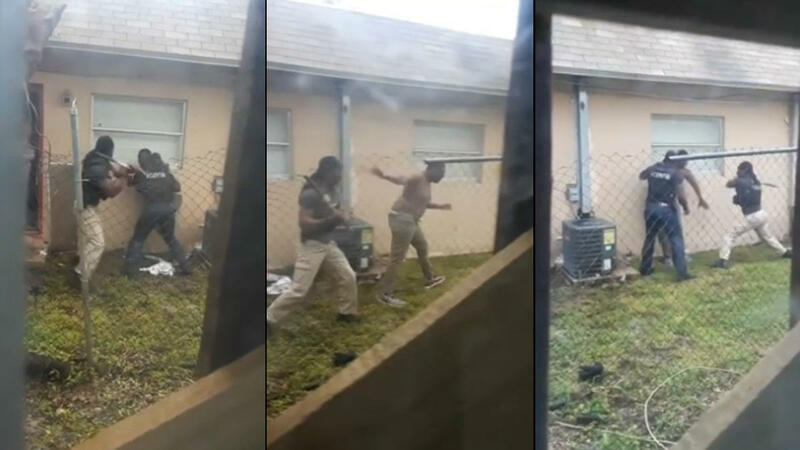 Bail bond agents were captured on video punching, macing and hitting a man wanted for a traffic violation outside a Lauderdale Lakes apartment in footage obtained exclusively by NBC 6. Back in November, Anthony Hall of Broward County didn’t show up for court for having his driver’s license revoked. Bail bond agents were sent to his girlfriend’s Lauderdale Lakes home to arrest him on November 29th. A portion of the arrest was captured on a neighbor’s cell phone camera. 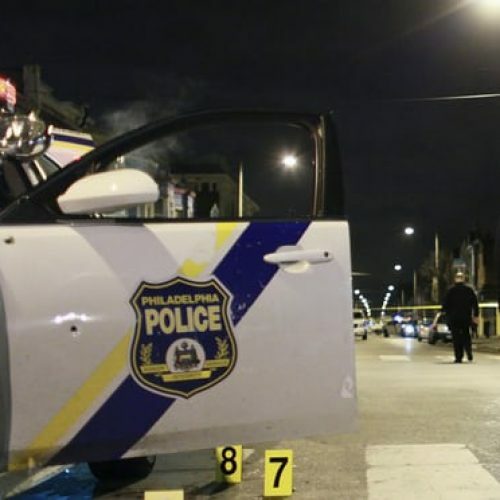 “It was just insane,” said Lara Laign, who captured footage of the arrest. In the video, two agents with AAA Star Bail Bonds out of Palm Beach County are seen punching Hall, hitting him at least five times with a metal bar and macing him. After Hall is on the ground and in cuffs, an agent is then seen going to a window and smashing it with the metal bar. “I don’t care if you’re the baddest person in the world, there’s no reason to beat someone while they’re on the ground with their hands behind their backs and then break their window, it doesn’t make any sense,” said Laign. Hall’s attorney said he suffered a broken nose, was treated at a hospital and then taken to jail. NBC 6 spoke with the two agents over the telephone. The agents said what viewers can’t see is what happened two minutes before the recording started. They claim Hall charged at them first, hit them in the face, bit them and resisted arrest. The agents said they used the metal bar to break open the back door of Hall’s home after waiting for him to come out for twenty minutes and that at one point, Hall picked up the bar before they got it back. The agents said they’re trying to file battery charges against Hall for punching and biting them. Hall’s attorney, Russell Williams, of Williams Hilal Wigand Grande, said he’s preparing to file a complaint against the bond company and its agents. “The video speaks for itself, if you get past the fact he missed court he still has rights in the state of Florida,” said Williams. Hall remains behind bars in Broward County. While he was picked up for not appearing for a traffic violation, he’s being held on unrelated charges due to a probation violation. As for the window, the agents said they’re prepared to pay for the damages. A bondsman with AAA Star Bail Bonds told NBC 6 they hired the agents as a third party and they were defending themselves.